Thesis "Leo Buring, his life and influence on Australia's Wine Industry"
Thesis "Wine and Health through the ages with special reference to Australia"
Thesis "An Account of Diseases in the Near East during the Bronze Age - an Historical View"
Thesis "The Role of Infectious Disease in the Demise of the Sumerian and Indus Valley Civilisations"
1. "Australian Wine - Regions and Rituals"
1995 Jim McMahon, Chapter 20 "Wine and Health"
2. 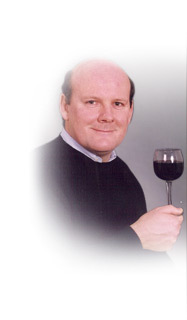 "Oxford Companion to Wine"
3. "Wine - a Scientific Exploration"
2003 Royal Postgraduate Medical School at the University of London, Chapter 2 "The History of Wine as a Medicine"
1994 "Some Most Unusual Vineyards - The Vineyards of Australia's Lunatic Asylums"
Vol.957, 2002 "Alcohol and Wine in Health and Disease" Article – "Corrupt Captains and Convicts"
Australian Representative on the Editorial Board of "Alcohol in Moderation"